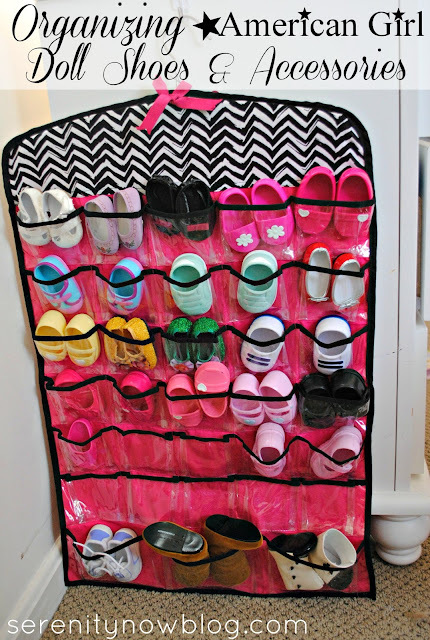 I want to share a quick and super-easy idea to help you organize American Girl doll shoes and accessories! January's not over yet, and I'm still on an organizing kick around here! While I don't spend a lot of time in my girls' room, except to put them to bed, get them dressed in the mornings, and break up fights, they do spend a lot of time in there. 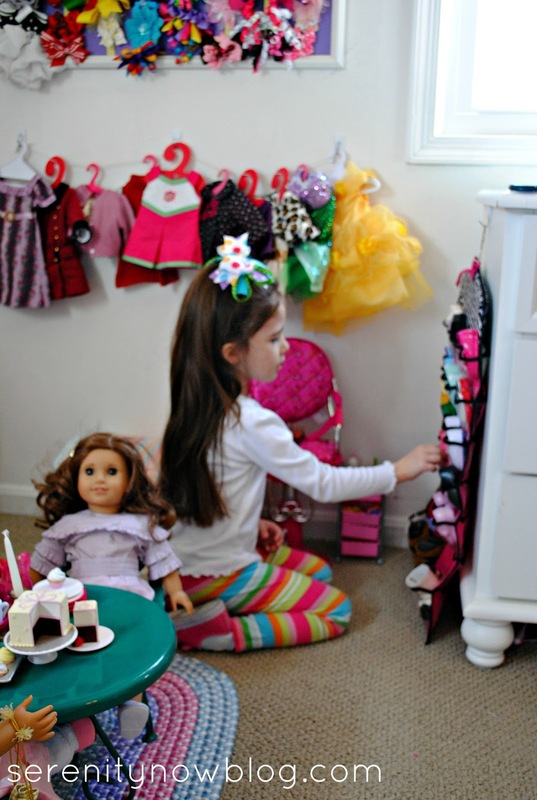 One of my "mini missions" has been to create an organized spot in their room so that they can play with their American Girl dolls. Last week, I showed you our new system for storing and displaying doll clothes (the nicer stuff). Today's idea could also easily work for Barbie, Polly Pocket, baby doll items, etc. When I Pinned this idea from doll diaries onto my Pinterest Boards, I wanted to try it in my own home, but give it a bit of a twist! Oh, wait. Am I the only one who worries about that? The organizer I chose is (yay!) double sided, so I used the back of it to store doll slippers, soft sided shoes, stoles, jewelry, and small accessories. The front holds boots, tennis shoes, mary janes, and slip-on shoes. Some of the tennis shoes and mary janes (from Target's doll line) were too thick to fit in the slots as pairs, so they each got their own slip-in spot. 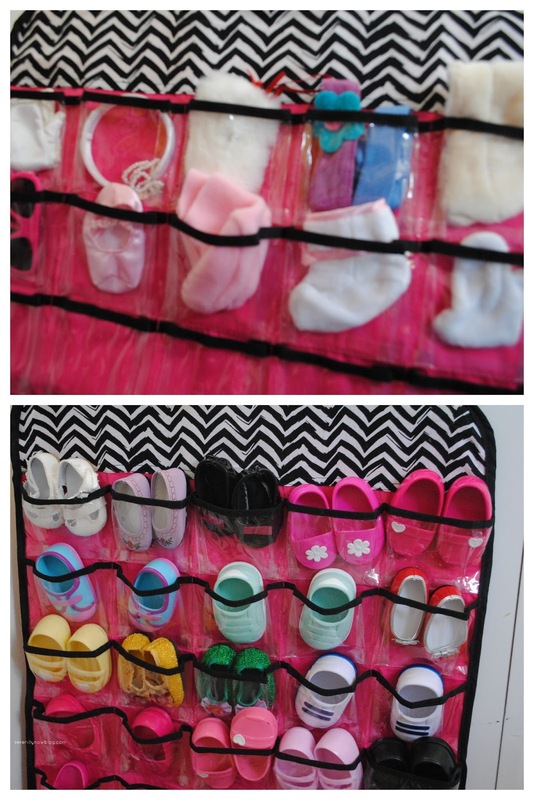 Bags, hats, and purses went to the under-the-bed organizers I set up last year! Kids (my kids, anyways) love to sort things, so I'm hoping Natalie and Michaela Byrd will keep up with this new system. So far, it looks a lot nicer than stashing them in a giant ziploc bag and shoving them under the bed! And I like that it's sort of hidden from view because it's on the side of the dresser. 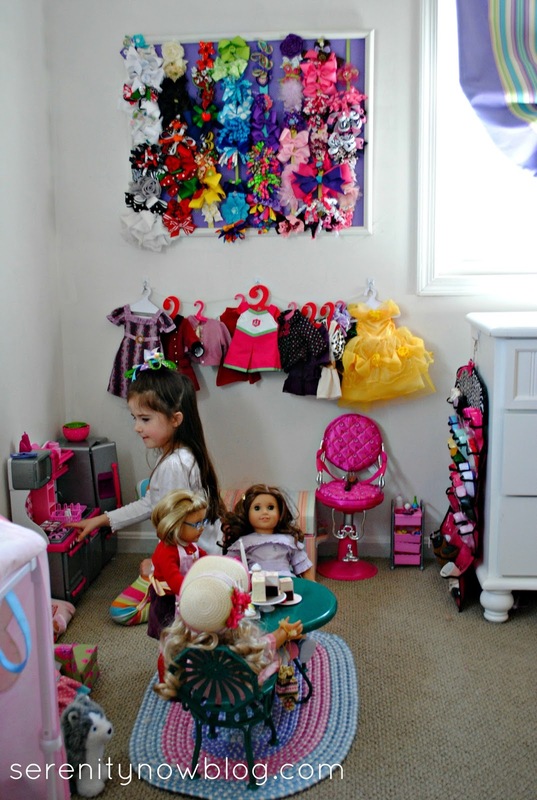 Do you have any tips for storing and organizing toys in your home? If you enjoyed this post or found it helpful, I hope you'll click your Pin It button to add this post to Pinterest, or a +1 to Google+. Fun idea! We are just getting to the point of needing some storage solutions. Very cute! My daughter just got an American Girl Doll for her birthday last year and we are just now starting to collect shoes and accessories for her. That would be perfect. I am really glad you shared this awesome idea. This is really what I need. Thanks for sharing. Oh! How cute this idea is! I really love it. 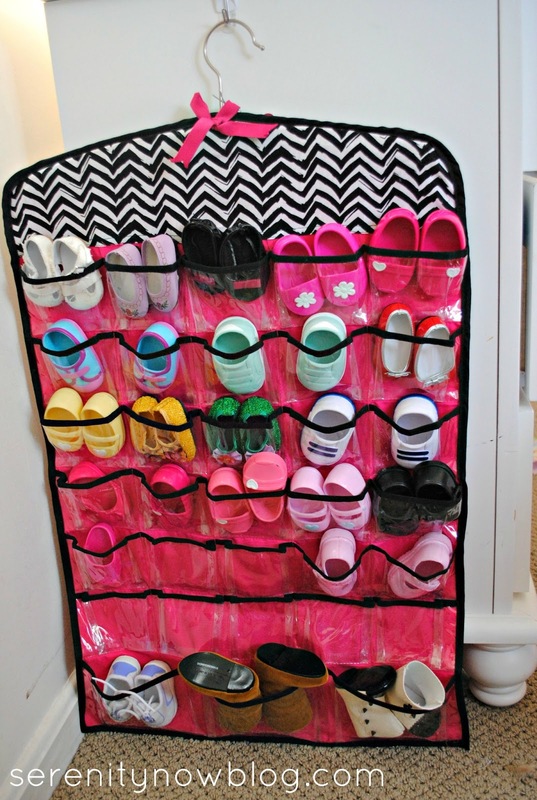 This is really a great way to organize your doll shoes. Thanks a lot for sharing this idea. What a brilliant idea! I actually ran out and picked up two hanging jewelry organizers (the first one was filled pretty quickly) and am finally pleased to have all of the AG doll shoes in one organized place instead of spread among different people-sized shoe boxes. Thank you for making my life easier. Do you think this would work with tape? Hi, what are the specs ? 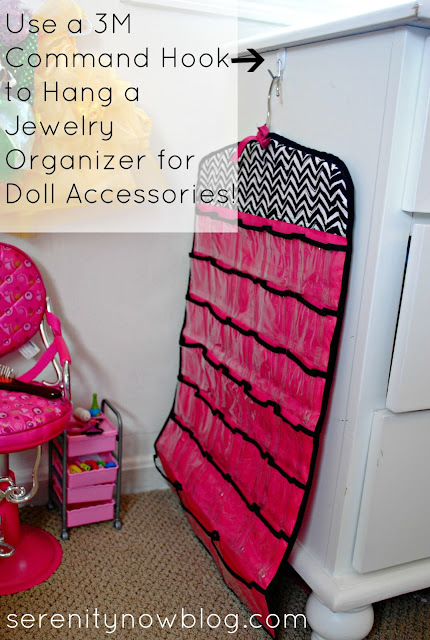 I used to use jewelry hangers, but then I got big storage tubs and filled them with doll stuff. They're under my bed, and easy to reach. I keep my dolls on display on my night stand. Highlighted Weekend Links-- Share You Best Post! Highlighted Weekend Links-Share Your Best Post!